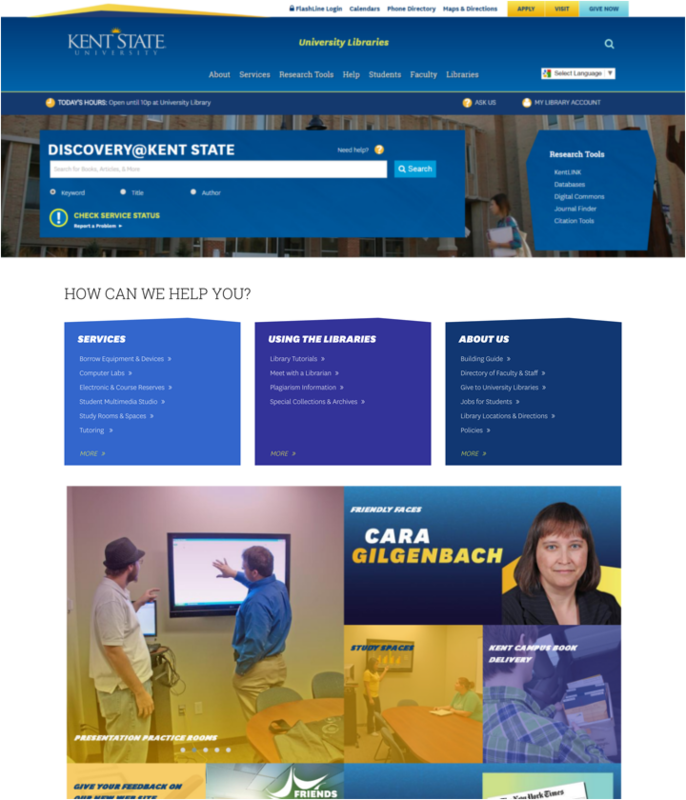 Our new site is an exciting reflection of Kent State’s new branding direction, and is designed to be a user-friendly experience across all platforms. 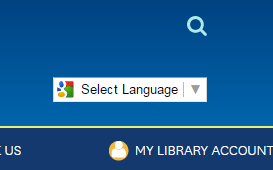 Our streamlined Discovery@Kent State universal search bar gives you the ability to search our entire catalog including KentLINK, OhioLINK, and a wealth of digital collections and materials rather than having to navigate across search platforms. Just search for any library materials that you need. It’s that easy! Goodbye VPN. Hello KSU Proxy. Users no longer need to download the VPN to access materials while off-campus. Just start your search from our site and the new KSU Proxy makes it easy. If you’re off campus, you’ll be prompted to enter your FlashLine username and password. Once entered you can access our entire catalog from wherever you are, including journals, databases, e-books, and more. You may have noticed that OhioLINK is no longer a separate direct link on the home page. 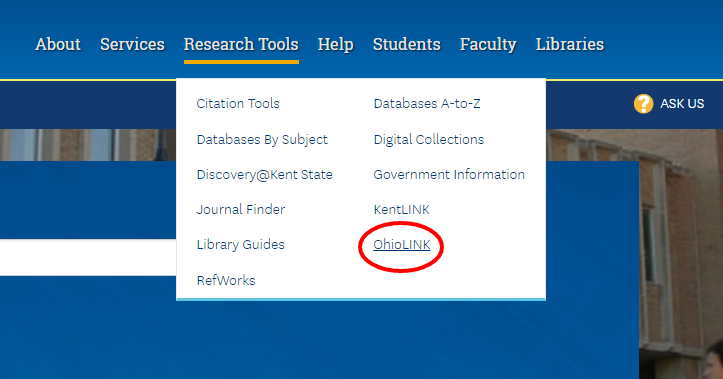 We recommend using the Discovery@Kent State search for more complete statewide results, including e-books and digital materials that may not be indexed by the old OhioLINK catalog search. Of course, if you still need to access OhioLINK the traditional way, you’ll find it in the "Research Tools" drop-down menu. We've added features to our new site that make exploring University Libraries a more engaging and interactive experience. Our “How can we help you?” menu lists a few of our most popular features and services. Our colorful and dynamic central mosaic highlights and celebrates the many events, services, and people that are part of the vibrant University Libraries community. 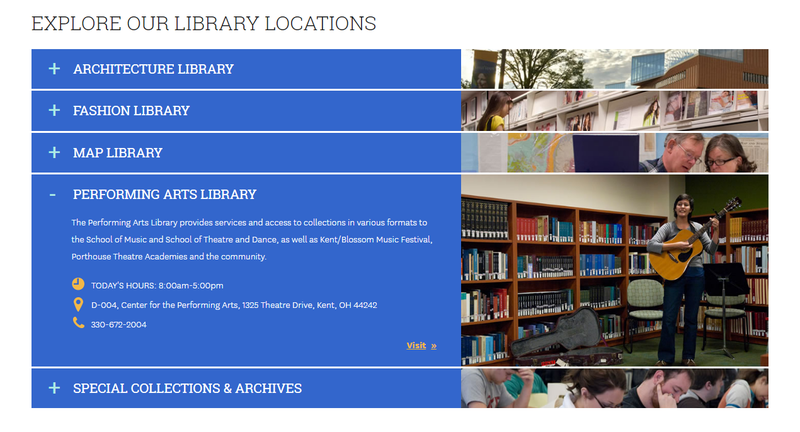 You can also explore our Branch Libraries and Special Collections from the home page—complete with operating hours and map directions. 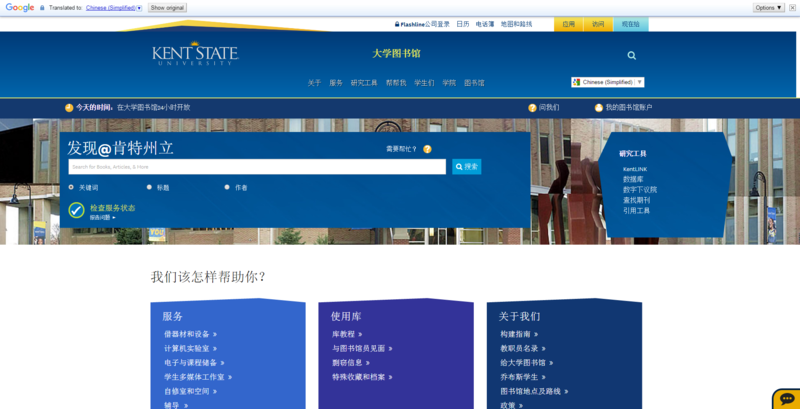 Google Translation capabilities also allow our site to be translated into a number of languages, offering greater access to the world of Kent State University Libraries to our far-reaching international community. 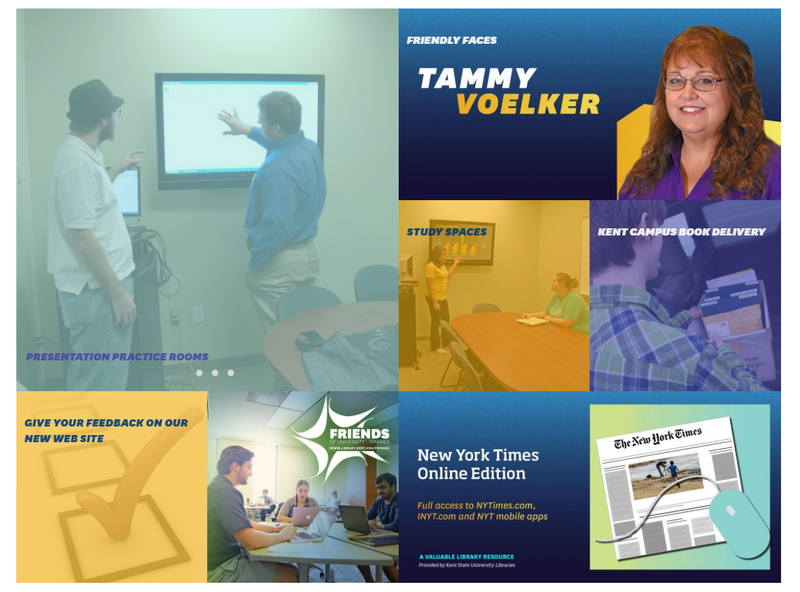 The new site is your always-open gateway to the many items and services that Kent State University Libraries has to offer. You can browse and access a vast array of digital materials and media holdings through the site, from e-books and classic Daily Kent Stater issues, to the vivid and rich history found in the May 4 Collections. 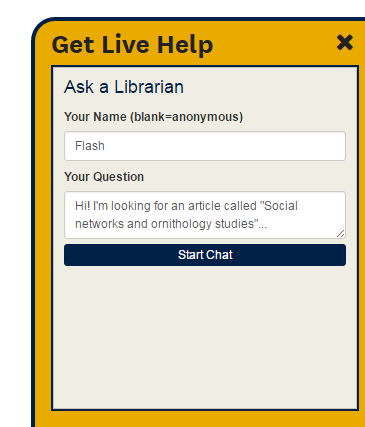 Whether you’re on or off-campus, our Chat With a Librarian live chat service remotely connects you to one of our friendly and helpful library staff members. Experience our new website at http://library.kent.edu. Be sure to let us know what you think. If you have comments, concerns, or questions, contact Ken Burhanna, assistant dean for engagement & outreach, at (kburhann@kent.edu). We value your opinion and are always open to finding ways to improve our site.